My friends and I have always asked why the automaker’s can’t sell legitimate upgrade kits. Parts that actually make more power and are similar to what you would buy from the aftermarket tuners. Mostly so you can mod your new car and not void the factory warranty. It doesn’t seem that complicated from a reliability standpoint but I do understand there’s the whole emissions thing. But seriously, why can’t more car manufacturers produce tuning kits for their cars? Dinan kind of did it with BMW but it was more of arrangement with an aftermarket tuning company than a product released by a car manufacturer. BMW would cover all the regular warranty stuff and Dinan would cover all the damage from any of the upgrades. But the cool part was that it all happened through your dealer making it seem like it was still a 100% BMW covered warranty. Now Ford customers can get more performance out of their vehicle thanks their aftermarket division called Ford Performance. The new MP275 upgrade kit for the Focus ST takes the car to 300 lb.-ft. and 296 lb.-ft. of torque with 93-octane fuel. When the parts installation and tuning is performed by an authorized Ford Performance technician, Focus ST retains its factory warranty – a huge benefit for any customer looking to get the most out of the ownership experience. The key to the upgrade is a performance ECU calibrated to deliver a more aggressive engine mapping program, including a quicker throttle response, without compromising durability. 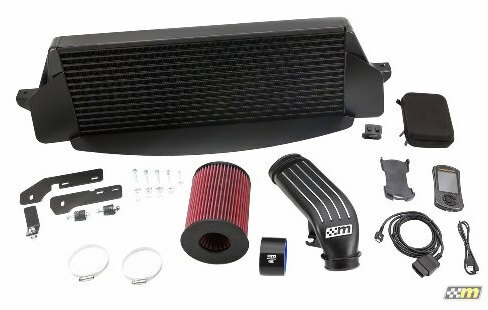 Unlike many aftermarket kits that compromise reliability and driveability on the street while also hampering emissions, the mountune system keeps Focus ST street-legal in all 50 states. A mountune air filter end cap can be added to the mountune high-flow air filter for a more aggressive sound. More details on the kit can be found at the Ford Performance website. The tuning kit aren’t just for the ST cars. There are even mods for the Mustang like this supercharger kit that produces 627hp! Ford Racing ProCal tool (requires laptop and internet access) with performance calibration for significantly improved throttle response and performance feel. 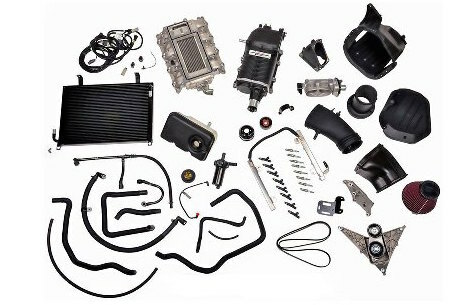 More details on the supercharger kit can be found here.